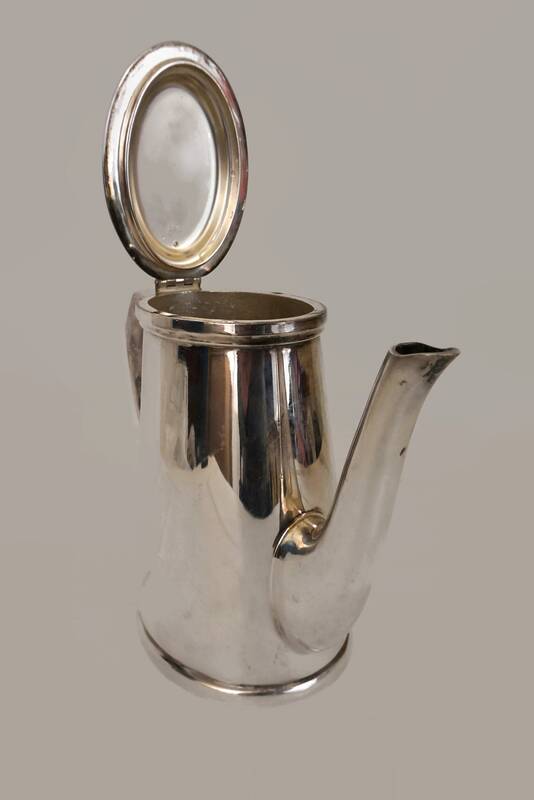 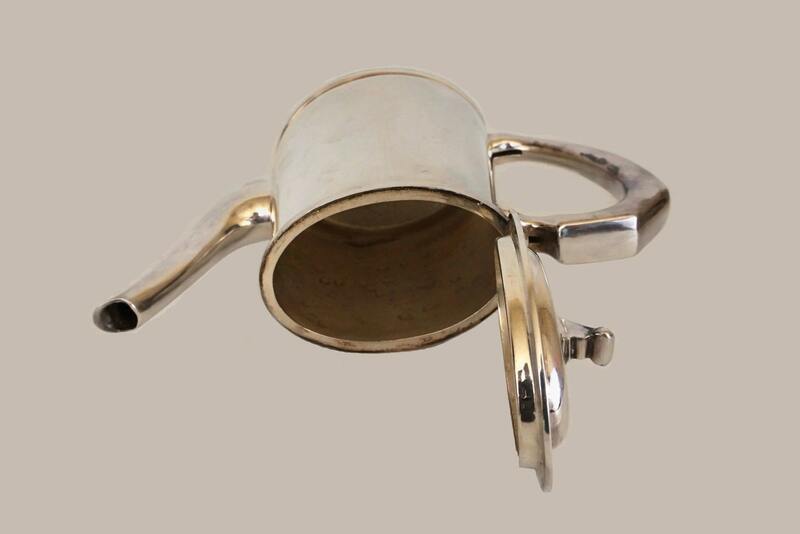 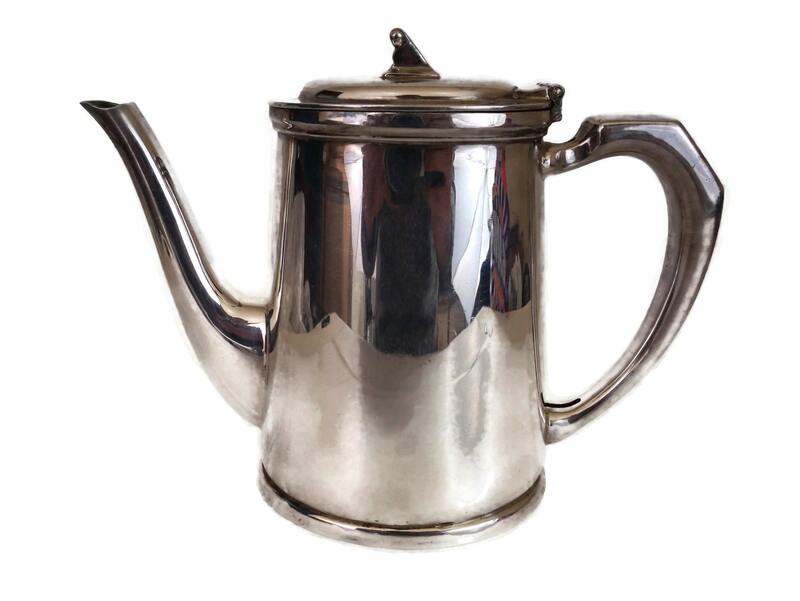 A stylish small silver plated coffee pot manufactured by Mappin & Webb in the 1960s. 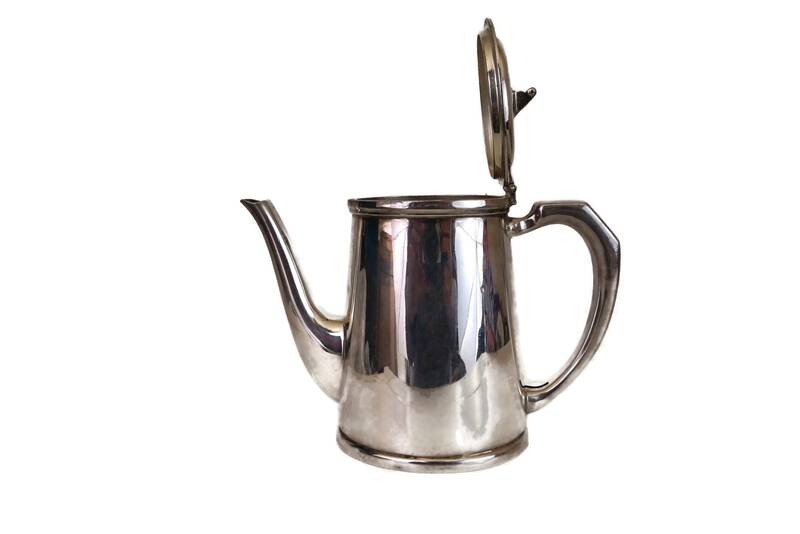 The pot has been made from silver plated metal and features an elegant design with an attached hinged lid and a geometric shape handle. 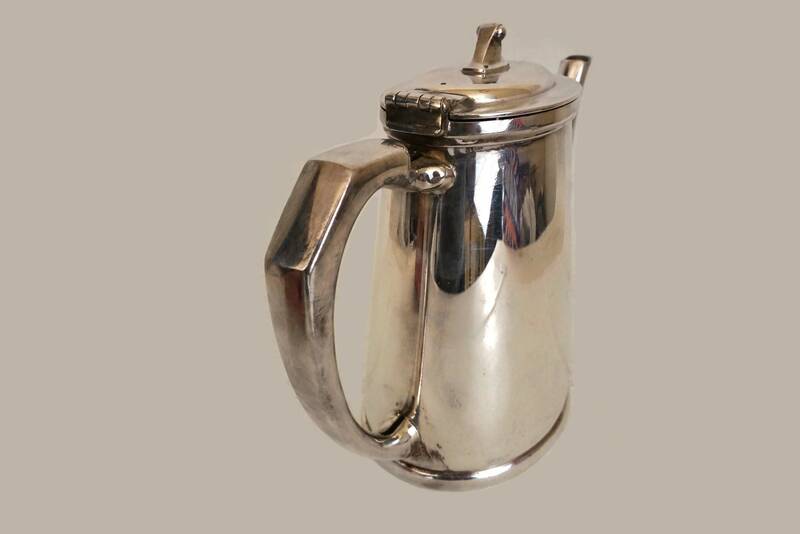 It was probably issued for a military officers mess to serve coffee and tea as the base is stamped with the British Government Broad Arrow Mark. 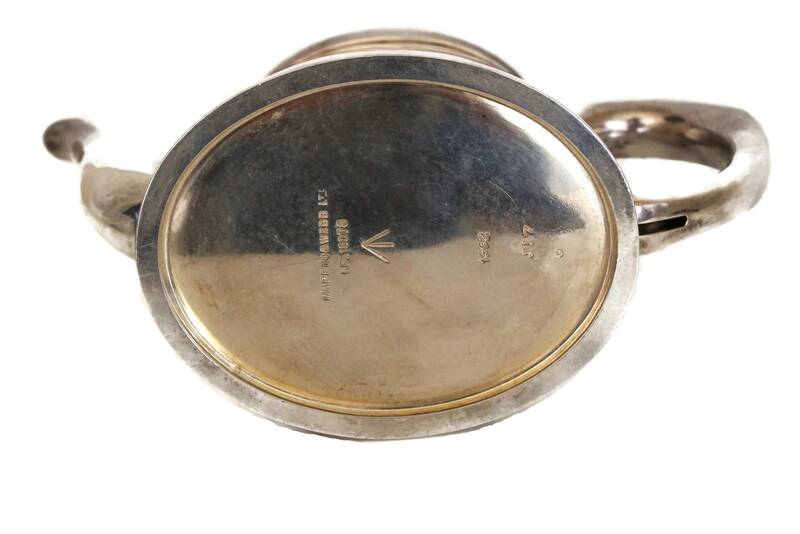 It is also marked Mappin & Webb, KF. 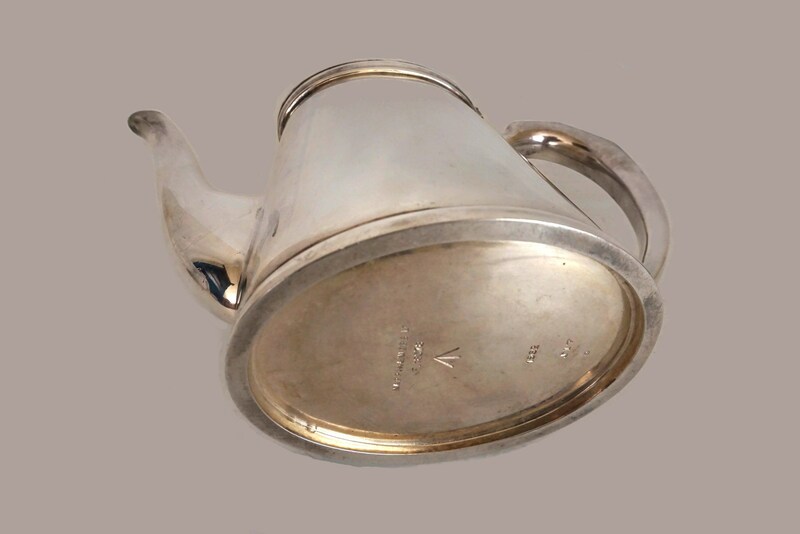 18078 and dated 1962. 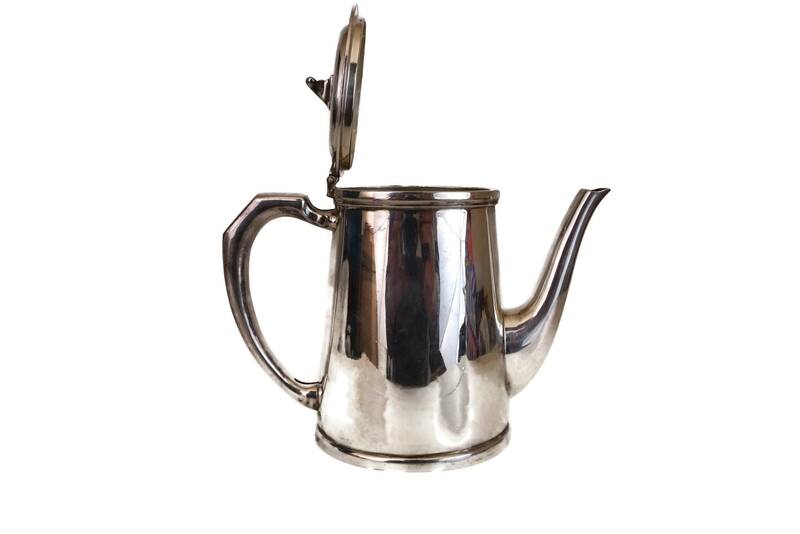 6" Tall x 7.5" Wide x 3 1/8"
(15 cm x 19 cm x 8 cm). 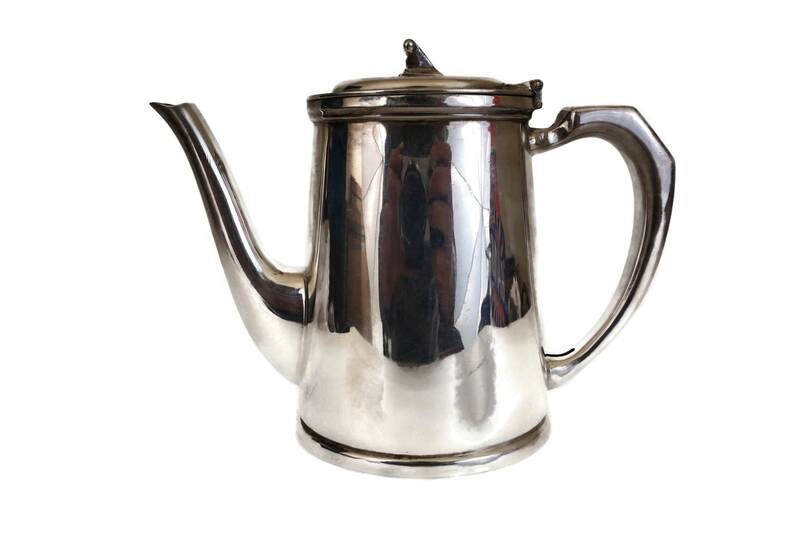 The vintage silver plated coffee / tea pot is in very good vintage condition with light signs of age and wear including light scratching and tarnishing to the surface and to the interior. 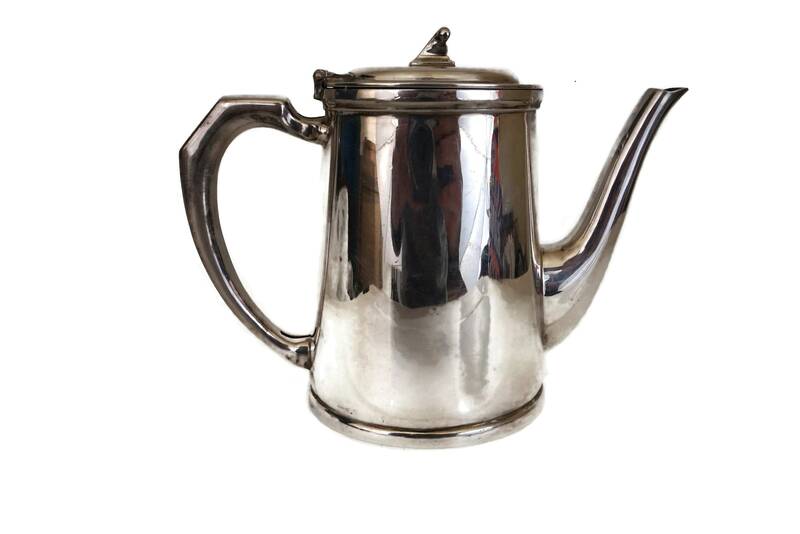 There are no silver loss to the plating.